Patients who regularly experience difficulty when chewing, talking, and smiling due to ill-fitting and shifting dentures have another option. Dr. Plasch and his team offer patients a more stable alternative to traditional, removable full-arch prosthetics through implant-retained dentures. With our combination of comfort, professionalism, and state-of-the-art surgical treatment, we assist our patients in reclaiming a functional, aesthetic smile that can last a lifetime. 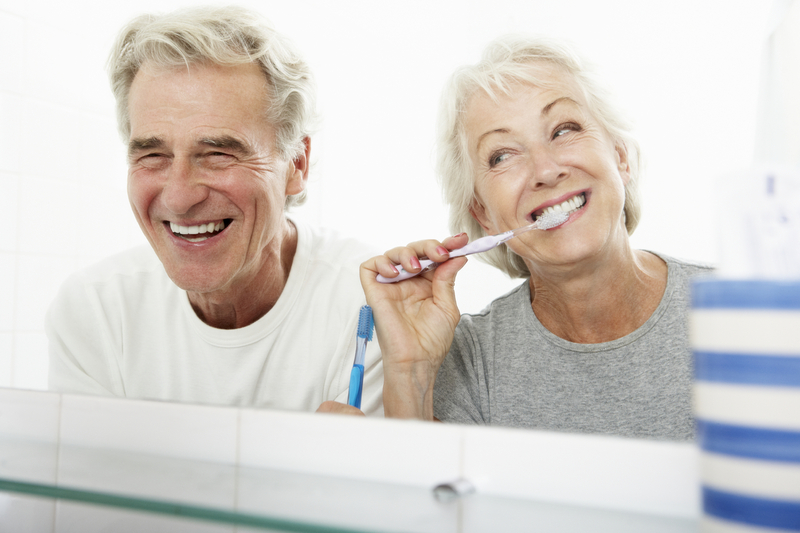 The stability and aesthetic appeal provided by implant-retained dentures makes them the ideal choice for the high standards our practice sets and our patients are looking for when considering dental reconstruction. With the support of implants fused to the jawbone, fixed dentures eliminate the uncomfortable shifting of loose prosthetics as you eat and prevent embarrassing slips of during speech. 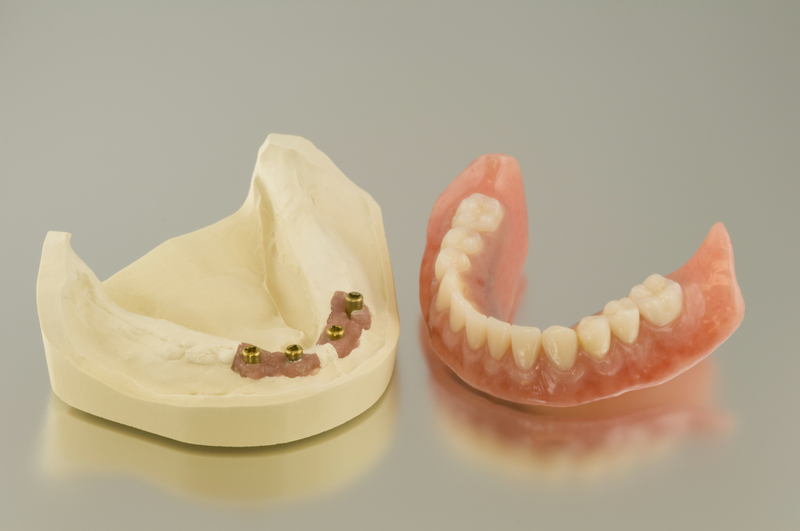 In addition to their unmatched stability, the ceramic Dr. Plasch uses in denture prosthetics offers patients the strength and appearance of their own teeth. As with all implant treatments, the first step in receiving your retained dentures is surgically placing the titanium rods within jaw arches. Once placed by one our recommended oral surgeons, implants are integrated into the bone, providing a stable base and preventing resorption of the bone in the future. Once your implant posts have fused to the jaw and the surgery site has healed, we attach your dentures. These fixed prosthetics function as normal teeth, requiring only regular cleaning and maintenance to ensure that you have a stellar smile and functional bite for the rest or your life. The success of a fixed implant denture treatment is greatly dependent on the health and stability of a patient’s jawbone. Patients with signs of gum disease will require pre-treatment to ensure that tissue is healthy enough to heal after implant surgery and support lasting results. Certain patients, such as those with osteoporosis or bone resorption due to prolonged lack of teeth, may also require grafts to improve jaw density prior to implantation. However, patients can also take advantage of mini dental implants, which allow for the stabilization of dentures without the necessity of a graft in some cases. If you have additional questions or want to schedule an appointment, contact Dr. Plasch and his team today. We are proud to serve residents of Hayward and the surrounding areas with high quality, technologically driven dental reconstructions.